Which software got the highest score: Navixy, GPSWOX or Fleetmatics? With the increasing desire and interest in white label GPS tracking software’s, we thought we’d present a list of the Top Seven White Label GPS Tracking Software’s available. Each of these companies claims to offer the best telematics solutions, but it will depend on your unique asset management needs. If you’re looking to start a telematics company or if you have a gigantic fleet and want to procure an asset management system on your own, then here are a few companies who provide white label softwares that may do and offer exactly what you’re looking for. 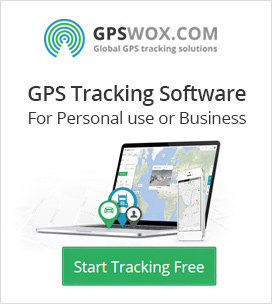 GPSWOX is a fully genuine white label software company that offers GPS tracking software that supports 600+ GPS tracking devices. Their software is also easy on the eyes and it looks very simple to activate a device as they have a YouTube video uploaded to help its customers (or potential customers) witness its ease of use. I found their customizable widget tab to be very helpful and that their customisable alerts can be even customized down to the actual text you get from the alert itself. I believe most internet people will find that GPSWOX’s software is very simple to navigate and operate; it’s simplicity doesn’t seem to jeopardize a complex telematics solution (for the bigger fleets). And most importantantly GPSWOX whitle-label software price starts only from $99 a month. Inepex is a white label GPS tracking software company based out of the country of Hungary. They have a readily available list of trackers that are supported by their white label software. They are an authentic white label software company in that they allow your private branding (you can use your private brand and domain name) and permits unique business customization. True to customization, they give their customers the ability to have an original interface and, to add to their diversity, their software is compatible with other softwares as well. Navixy.com is a simple website to navigate and gives detailed descriptions of their services. Their features include software, hardware, customers’ support etc. They have the added benefit of having a solid YouTube presence for those customers who want to be educated and watch videos about their company and products. Their set-up is much like GPSWOX’s platform (although has some obvious differences in interface) in that there are a handful of easy to set-up customizations. Navixy and GPSWOX white label softwares are very similar in that they both offer a much more user friendly experience and is much more pleasing to the eyes as opposed to the more industrial it-does-what-you-want-it-to look of several of the other softwares available. Their pricing is also very comprehensive and detailed and is available right on their website for a quick and easy estimate (however it is not cheapest on the market). Global AVL offers what seems to be a nice selection of trackers for the varied tracking needs of its customers. They provide a detailed list of trackers and organize them by the type of tracking each device provides i.e. asset tracking, vehicle tracking, personal tracking etc. They offer the basics for software support but do not explicitly state they offer technical support. Unfortunately, it seems that the pricing is hidden and is only obtained by an inquiry to one of their sales consultants; their website doesn’t seem to offer enough information to really pique one’s interest and make a savvy business decision; more digging for information is needed. Key Telematics presents their business as a “software as a service” company (like many of the others do). Their primary focus is on venders of asset management. Key Telematics is very straightforward in saying that they offer a no contract and a no upfront investment program which immediately draws attention. They also boast being able to support over one hundred devices from over forty different hardware providers. Their pricing is suggested on their website (starting at $1.90 a month), but requires an inquiry for a more accurate estimate. While the no contract and upfront pricing might be a benefit to this company’s image, it doesn’t offer very much outside information (no easy to search YouTube videos or even a Facebook presence). Research on this company proved to be rather limited in scope. Position Logic is a company from the KORE Wireless Group that, like the previous companies, offers a telematics solution but would seem to be geared more toward being a web hosting service. They proudly advertise that they have a 99.9% uptime and are truly impressive by saying they are “device agnostic” in that over 400 devices are integrated. They have a decent selection of hardware but if you’re not familiar with the manufactures of GPS tracking devices, you might have a difficult time navigating their hardware solutions and deciding on your own; it would require more information from one of their specialists. They certainly offer some customization but, as opposed to a solution for those looking for a fully genuine white label software company for their telematics businesses, don’t seem to offer everything that a budding GPS tracking company would want to utilize. Their pricing is also not apparent nor is it readily available; they do not explicitly advertise 24/7 customer support either. Mapon is a company that offers their own branded software and hardware. I first noticed that their website gives the appearance of a limited list of devices supported despite their advertisement of supporting several devices. On the surface, they do not appear to offer anything uniquely different from the other companies. However, after some deeper digging, what captured my attention is their free access to a CRM; this is a definite added benefit for beginning GPS companies. They also state that you can: “control your warehouse, oversee installations, prepare automatic invoices, and restrict unpaid accounts.” While their website is user friendly, it seems that Mapon might not be as compatible with the numerous devices needed for asset tracking and fleet management; it may take some inquiry to learn more of specifics as this website was one of the least informational. Pricing is by inquiry only as there is no pricing available on their website. Through my study of these GPS tracking software companies Navixy, GPSWOX and Global AVL appear to be the most user friendly and easy to understand. GPSWOX leads my analysis since it has a large list of supported trackers and offers their pricing in a boldly straightforward manner. However, Mapon does offer some unique features with their CRM availability. While these companies state they will solve your asset management needs, each offers its own unique experience that may be better suited for you. Before making a decision, be sure to know what you want a white label GPS tracking software company to do for you as each business has different needs.